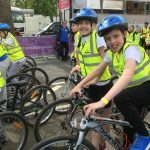 8.5.18 – Tour de Yorkshire finish! 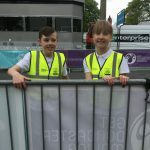 Amongst all the excitement of the Tour de Yorkshire finish in Doncaster on Thursday, two Balby Central children, Alathea Rickwood and Riley Cougill, took part in a school 400m time trial cycling race on the Tour de Yorkshire finish line. Racing at number 7 and 8, they both pushed nerves to one side and set great times for the Other 54 children to beat! Alathea came just 3 seconds off third place! 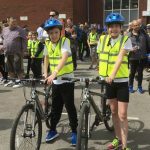 I watched alongside their parents with great pride as they represented the school brilliantly as we knew they would! This was a great opportunity which we hope to provide for hardworking children in years to come! 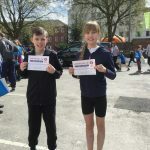 Well done Alathea and Riley, you should be very proud! Here’s some acton photos and videos! 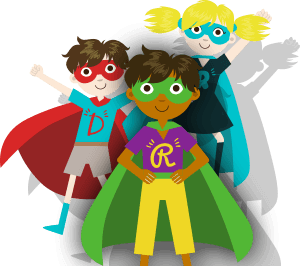 ← 30.4.2018 – A great first SSE Wildcats football session!